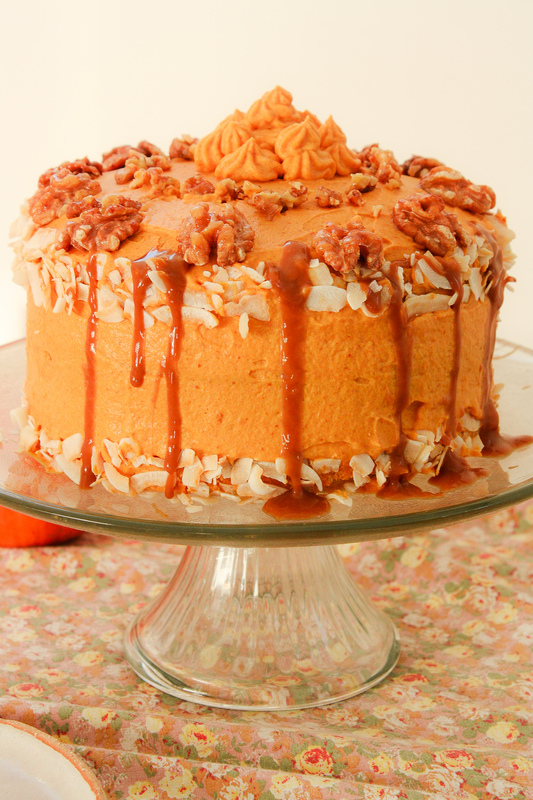 This triple-layered vegan and gluten-free pumpkin cake is a real treat with its smooth and creamy coconut and pumpkin frosting. 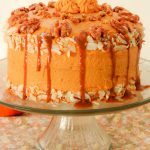 This triple Vegan and Gluten-Free Pumpkin Cake is a real treat with its smooth and creamy coconut and pumpkin frosting. Pre-heat the oven to 180 degrees Celsius/350 degrees Fahrenheit. Line a 22 cm by 22 cm cake pan with parchment paper or simply grease with some oil. Next, chop the dates and mix in the food processor with some of the water it rested in until it reaches a thick paste consistency. Add a pinch of salt and mix again until well combined. Pop the whisk of your electric mixer in the freezer 10 minutes ahead of time. The colder the easier it will be to achieve a beautiful whipped cream. Spread the caramel between each cake layer (only if making a 3 layers cake otherwise cut your one layer cake in half). Then smooth the pumpkin filling over the top and all around the cake (using a spatula will make it easier). Hi, I’m Mimie (nickname given to me by my dad)! 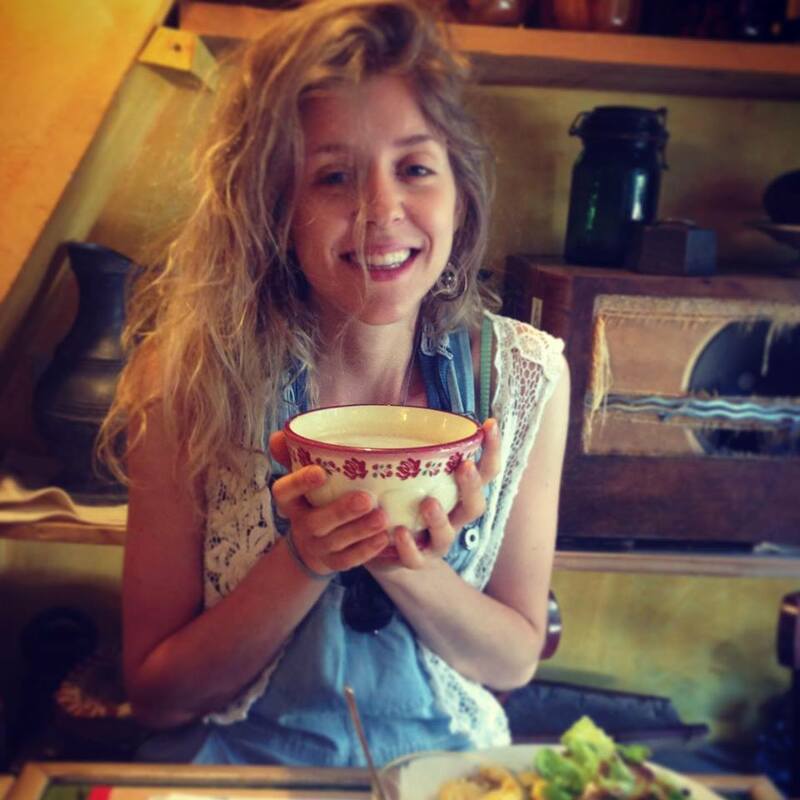 I am a French girl living in London and with Mimie’s Delicacies I want to share my love for baking, or more precisely my love for baking French Vegan Desserts! I wanted to create vegan recipes because I believe that if baking made me feel good inside it should also make me feel good on the outside, be better for my health, good for the environment and the animals too!